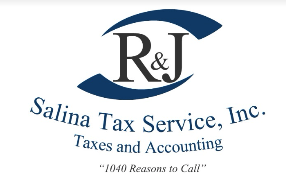 R & J Salina Tax Service, Inc. would like to let our customers know the R & J family has suffered a loss. On Wednesday, March 7, 2018, Judith (Judee) Bloyd EA’s husband and best friend, Roger Bloyd, passed away. R & J staff is slowly getting ourselves’ back together from this sudden loss and getting back to the work at hand. March 14th at 11 a.m.; our office will be closed from 9:30 a.m. to 2 p.m. for staff to attend. The service will be located at Salemsborg Lutheran Church, 3831 W. Salemsborg Rd., Smolan, Kansas 67456. The family is asking that any donations or memorials go straight to a local charity in honor of Roger Bloyd. The staff at R & J is going to donate any money received to a college fund for the grandkids in honor of Roger. Also, any cards or other items can be sent to R & J Salina Tax Service at318 W. Cloud St., Salina, KS 67401.